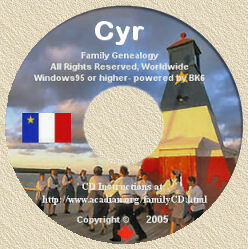 Acadian Genealogy Homepage; Grand Pré Interpretation Centre! THE GOVERNMENT OF CANADA CONTRIBUTES TO THE CONSTRUCTION OF AN INTERPRETATION CENTRE AT GRAND PRÉ NATIONAL HISTORIC SITE OF GRAND PRÉ, N.S. The Honourable Sheila Copps, Minister of Canadian Heritage, and the Honourable Ralph Goodale, Minister of Public Works and Government Services, announced today the award of a $2,681,235 competitive contract to Fulmar Contracting Inc., of Port Williams, N.S., for the construction of a new interpretation centre at the Grand-Pré National Historic Site of Canada. The Honourable Robert Thibault, Minister of Fisheries and Oceans, participated here today in a ceremonial sod-turning event to celebrate this important milestone in the overall redevelopment of the site as announced last Spring, to which the Government of Canada is contributing a total of $5 million. "This new centre will help connect Canadians, and the many international visitors to Grand-Pré, to our roots, to our future and to each other, "said Minister Copps. "This project has an even further special significance since the Acadian community throughout Canada and the United States is getting ready to celebrate a number of major events in the coming few years, including the next Congrès mondial acadien in 2004," she added. "Public Works and Government Services Canada is proud to be managing construction of this exciting interpretation facility at Grand-Pré on behalf of Parks Canada, " said Minister Goodale. The Minister added that the contract work has commenced and it will create 20 jobs until the centre is completed in April 2003. "In 2005, it will be 400 years since the French first settled at Port Royal, and 250 years since the Acadian people were deported, an event that is commemorated at Grand-Pré," said Minister Thibault. " This National Historic Site is a symbol of the deep attachment that Acadians feel for their motherland," he added. The new 1,500m2 interpretation centre will house a theatre, exhibit hall, gift shop, multipurpose room, and administration area. In addition to the construction of the centre, the project includes associated site services, pedestrian access, parking lots, and landscaping. Situated in the area that was a major centre of Acadian activity from 1682 to 1755, Grand-Pré National Historic Site commemorates the period of colonization and settlement of the area by Acadians as well as their Deportation of 1755.